Eight men, one ring, three rounds and £32,000 – but only one man can take home the prize cheque. Prizefighter returns to our screens on Saturday and eight light heavyweights are on a mission to impress at London’s Olympia as they look to establish a boxing career and take home the hefty paycheck. It’s a good opportunity to witness some of British boxing’s up and coming talent and new customers to Ladbrokes.com can treat themselves to a free £25 bet to stake on the boxing by signing up here. Travis Dickinson and Tony Dodson are the early favourites and can’t be split in the Prizefighter betting at 11/4, while Billy Slate and Jack Morris are the outsiders at 14/1 to win. But considering either Slate or Morris are guaranteed a semi-final place after meeting in the first round, there’s some value in backing one of the outsiders to upset a few favourites. Slate and Morris are both 5/6 to win when they face off, but it could be the personal training Morris who holds the value after he defeats the property developer Slate. Dickinson holds the pedigree considering he beat Welsh Champion Shon Davies in his last match and is unbeaten in seven starts, but Menay Edwards (12/1 to win prizefighter) is also unbeaten in four starts and Llewellyn Davies (9/2) is unbeaten in five starts. The two most experienced boxers Dodson and Michael Banbula (8/1) face off in the first round and Dodson is the 2/5 favourite to progress. Dickinson is 8/13 to beat Llewellyn Davies – 6/5 to beat Dickinson – is the tie of the first round and could hold the winner of the tournament. Joe Smyth and Menay Edwards complete the first round line-up and despite Edward’s unbeaten record, Smyth is the 1/2 favourite having lost just one of his eight career fights. 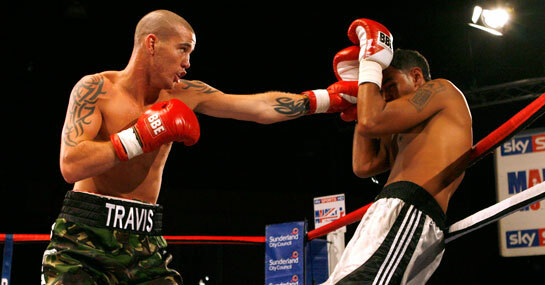 A £25 stake on Llewellyn Davies winning Prizefighter £137.50. New customers can sign up here for a free bet worth £25.